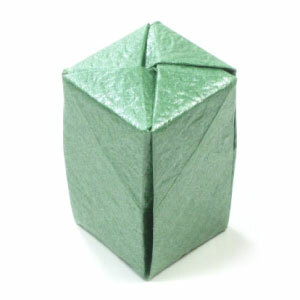 This page is for those who want the instruction to fold a closed tall origami box. This origami box is very unique. It is a tall origami box without an opening on the top. Make sure the paper that you use is a tall (all sides are equal and all the angles equal 90 degrees). The paper I am using here has a dimension of 15cm x 15cm.